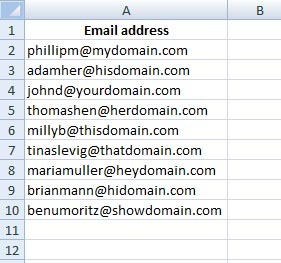 In the example below, I will split a list of email address into user names and domain names. It's a three step procedure. 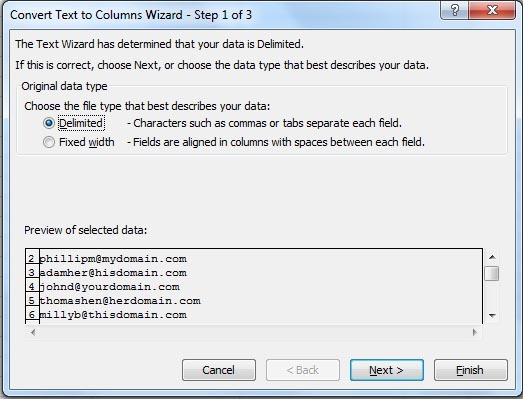 First, select your data set (A2:A10). Step 2: select Other. In the small box next to it enter @. 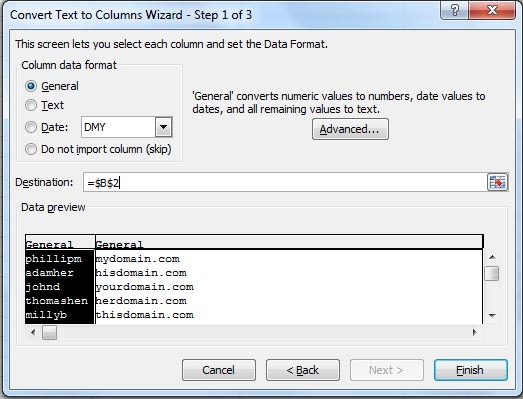 You will see an immediate change in the Data preview window below. Click Next. 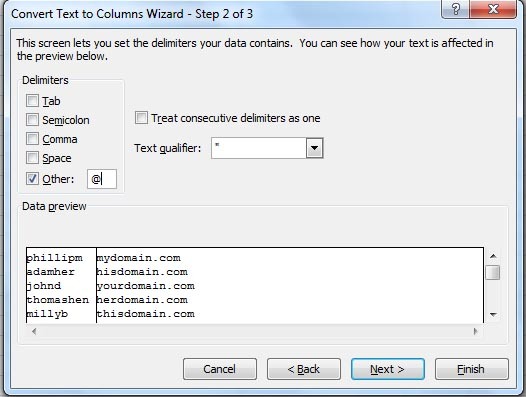 Delimiters are characters like commas ( , ), semicolon ( ; ), slashes ( / ) or special signs like @ that separate each field in your data. This example has @ as delimiter, while you will work with texts, you can have commas or spaces as your delimiters (normally ).